I'm a nurse by clinical background with over 25 years of experience. Here at the University of Derby, I'm a a member of the School of Nursing and Professional Practice in the role of a Senior Lecturer. I teach across pre- and post-registration health care programmes. In addition to my teaching responsibilities, I'm also the College International Lead for Health and Social Care. This means I lead on international student recruitment; internationalisation of curricula and enrichment activity; student and academic mobility; partnerships and collaboration; and augmentation of the international agenda within health and social care disciplines. 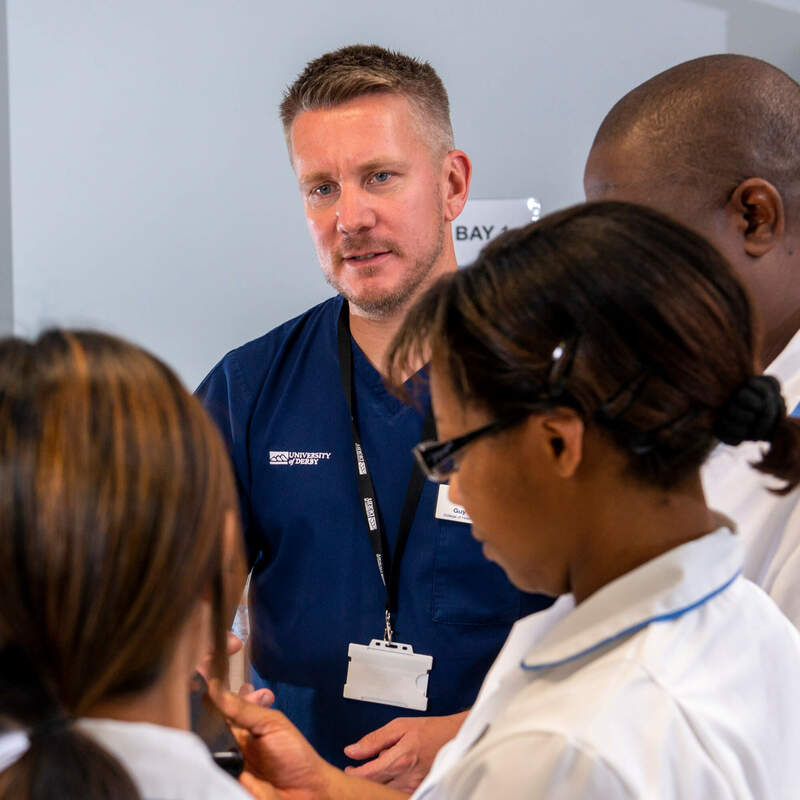 I teach across a range of health care programmes and currently I have specific module leadership responsibility within the MSc Nursing (Adult) pre-registration. I have a range of professional interests that have been shaped and informed by my career to date these include: Public Health; pedagogy of simulation within health care; developing cultural competence amongst students and academics; developing digital literacy and the use of education technology; innovation, improvement and enterprise within health and social care. You can read about my research on Research Gate. During my career, I have worked overseas on St Helena Island in the South Atlantic as a Principle Lecturer 2005-2007. Outside of my full-time role, I have been actively involved with a number of non-governmental organisations within India and Sri Lanka around health and social care projects. I'm also a current active Community First Responder with West Midlands Ambulance Service, helping to provide on-call first-response care within my local community.